en.StemCellsandAtomBombs.org: Yo Dennis! Whatever happened to fighting for a cure? Yo Dennis! Whatever happened to fighting for a cure? Hello. It's been a long time. No, I haven't forgotten about you or paralysis cure, but like many of you, I continue to be one of the many victims of paralysis. I continue to get many emails asking what I'm up to these days. I know these emails are also small reminders that I haven't been doing anything lately. The title of this post will quickly be recognised by one one of my cure-comrades-in-arms as she wrote me this one line email a few weeks back. I must say that I am grateful for still being remembered. 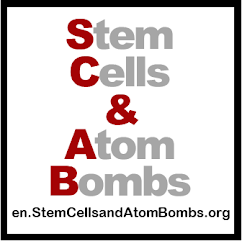 I still get regular likes on StemCells&AtomBomb's Facebook page and messages to my blogs. This does give me pleasure in knowing that I at least had some impact and offered hope. These messages also get me down because it reminds me that I'm not doing anything at the moment and therefore, according to my own judgement, I am part of the problem. I'd like today's post to be both an apology for my failure to keep up the fight for paralysis cure and an explanation about my future commitment. One. No, I have not given up on the idea of a cure for paralysis. Two. I still believe that non-scientist members of the paralysis community can play an important role in a cure for paralysis. So, where in the heck have I been? 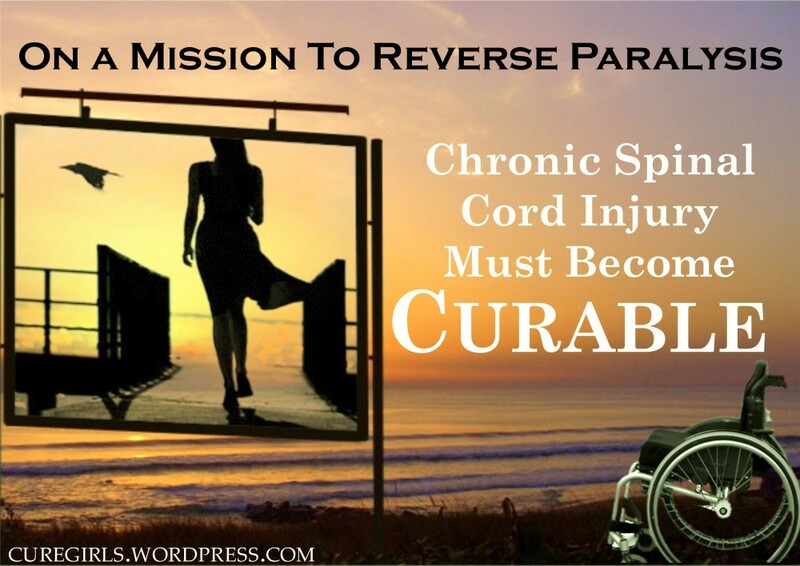 You've probably heard me say that "paralysis cure is not just going to fall out of the sky and bite us on our collective arses", so why aren't I doing anything about about it like I once demanded we all did? The answer is one small four-letter word that doesn't start with F.
Before paralysis (BP) I had basically two jobs. I'd say one full time job as a teacher and a ¾ job at the union. I sometimes wonder How I did it. After becoming paralyzed (AP) I figured that I'd quit teaching (too many schedules when You're a teacher) and just concentrate on the union and cure. It worked out for some time, and then the pain got terrible after having an operation for syringomyellia. Since that time it's been downhill to the point where I can't do both cure and union because now PAIN has become the other full time job. I don't even know How to describe it other than to say it has slowed me down terribly. Three hours to get out of bed and then another few hours to use the facilities and get ready. I feel like I'm in slow motion. I still can handle two jobs, PAIN and union, but a third, CURE is a little too much for me at the moment. Sure I could write blog posts, but seeing that my blog was never just a "Dennis speaking to the world" type blog and was rather about campaigning and motivating people, I don't see the point in writing. I Actually have two campaigns almost ready, but I can't offer the physical commitment so I've put them on hold, and feel really badly about not doing that. Feeling bad about not doing cure work has gotten to the point that I won't even read about it. You'll notice that I haven't been on CareCure for a long time. In Dennis' mind there is NO sense just reading and knowing things, you must DO something about it. So, since I hate not doing cure work, I'm going to make you all a promise. This way here I'll have a target and won't feel that I've just let people down, and also won't feel like running away from everything cure related in the meantime. Secondly, if I don't beat this pain, then Ill need need a partner for my blog campaigns. Interested? Keep me in mind. Once again, I thank you for your encouraging messages and I apologise to everyone of you that I've let down. It's good to set a target and slowly reinvolve myself. See you 1 October and if you have any ideas for new campaigns, let me know.